Are Oak Trees Angiosperm or Gymnosperms? How Long Do Oak Trees Live for? Where Do Cork Oak Trees Grow? How Far From the House Should an Oak Tree Be Planted? What Is the Weight of White Oak Wood? When Can I Prune Oak Trees in Wisconsin? When to Plant a Live Oak Tree? Angiosperm plants have seeds enclosed in protective structures. Most hardwood trees--including oaks--are angiosperms. An oak's seeds lie within its acorns. 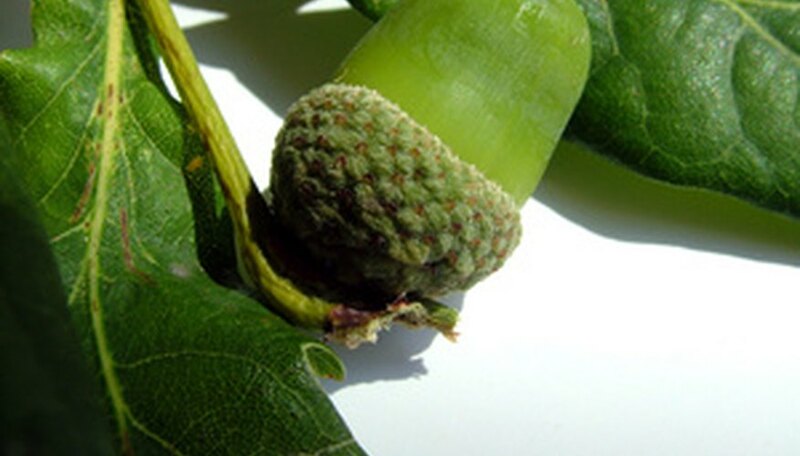 The acorn's caps and hard outer shells allow the seeds to survive for months, improving their chances of sprouting. 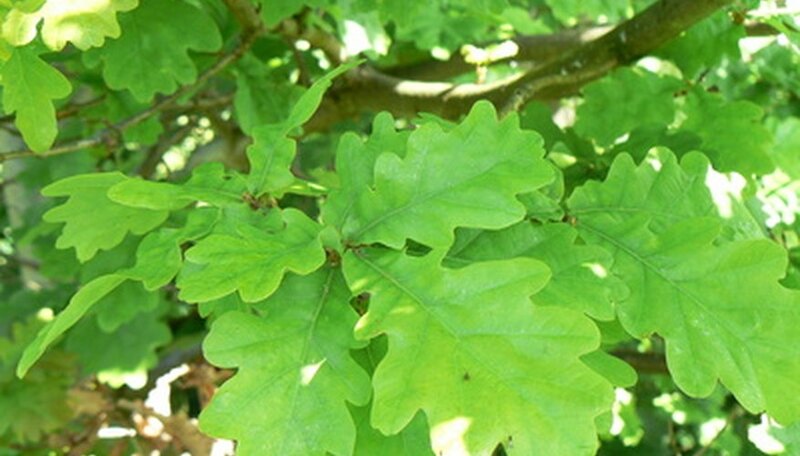 Oak trees develop their leaves in the spring during April, May and June. Leaf production depends on when spring temperatures warm the region up, triggering new growth. Oak tree leaves appear at the same time that the oak flowers blossom. Remove dead or diseased limbs any time. Just before the tree begins putting on new leaves in late winter or early spring is the best time for maintenance pruning. Winter pruning can shock the tree, and late summer and fall cuts may not have time to heal before winter sets in. According to the University of Florida Extension, you should prune live oaks yearly for the first three years. Afterward, prune every five years until the tree is 30 years old. This pruning schedule helps the tree develop a strong branch structure. If oak wilt disease is a problem in your area, take special care when pruning. Oak wilt disease is a fatal disease usually spread by beetles. According to the Texas Forest Service, in early spring the beetles that spread the disease become active, and exposed cuts are vulnerable. Delay pruning until midsummer when the insects are less active, and treat cuts with pruning paint. Oak wilt disease also spreads through infected pruning tools, so disinfect your tools between cuts. 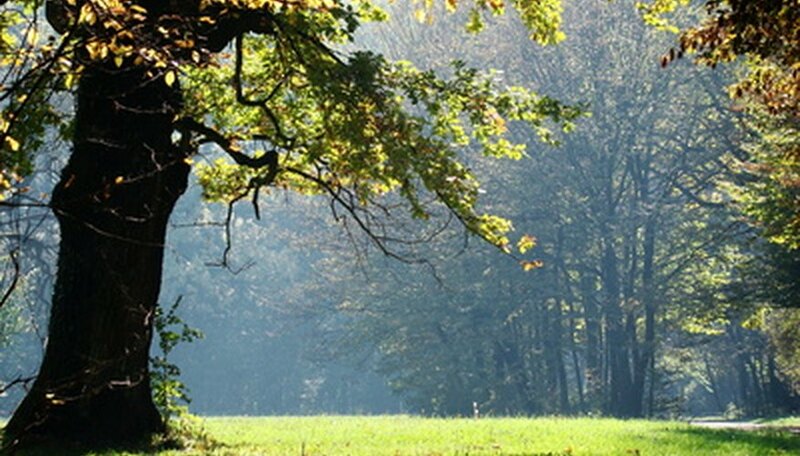 Oak trees are known to live for centuries, with the majority living at least 200 years. 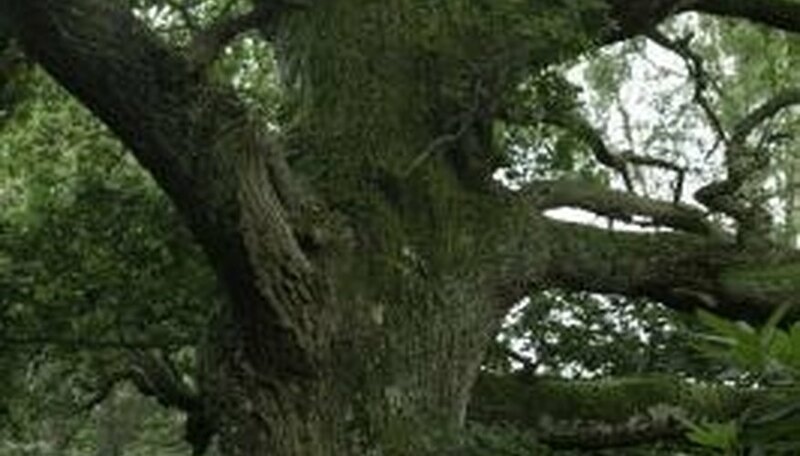 The oldest oak tree on record is estimated to be more than 1,000 years old. Dig away the ground around approximately 25 percent of the above-ground roots with a small shovel. Select roots that are approximately 1 foot in diameter or less as these will provide fewer nutrients to the tree than the larger roots. Continue to dig until the surfaces of the selected roots are uncovered. Cut the root at the point where it pokes out of the soil with a sharp hand saw, taking care that you do not cause damage to any surrounding roots or vegetation. Recover the root with the soil that was previously removed. This will ensure that the newly severed roots do not become susceptible to fungal or bacterial infections. Water the tree. Provide the tree with a healthy drink of water to replenish the recently compromised root system. Cover the area under the tree with a 2-inch layer of wood mulch. The decomposing mulch will offer nutrients to the tree's roots while protecting the ground from any erosion, which will also expose roots that would otherwise remain underground. Remove weak or damaged tree limbs. Use a pruning shears for limbs less than 1 inch in diameter. For larger limbs, use a pruning saw. Prune tree limbs to a desired first branch height after several years of maturing. This will provide access under the tree for lawn care and pedestrians. The most common height from ground to first limb is 8 feet. Prune branches between 12 and 18 inches apart after the oak tree is several years old. This will decrease the need for crown thinning and allow good air flow within the tree. The maximum height of oak trees varies according to variety and growing conditions. As of 2010, the tallest measured United States oak--at 146 feet--was a chestnut oak in Fairfax, Virginia. Live, bur, pin, scarlet and willow oaks also measured more than 130 feet in 2010. Shumard oak trees average about 75 feet tall, although they are shorter in cooler climates and can grow to more than 100 feet. The leaves are typically 6 to 8 inches long, with seven, nine or 11 bristle-tipped lobes. The trees are deciduous, with fall leaf colors that range from hues of red and yellow on brown leaves to russet to orange-red. Shumard oak trees grow in rich, moist woods, especially near creeks or swamp. The tree grows in acidic, neutral or alkaline soils. Seedlings require full sun to develop, but established saplings and trees can tolerate partial shade. Established trees can tolerate drought but may lose leaves. Shumard oaks make good shade trees and are often planted as street trees. Lumber from the Shumard oak is hard, heavy and close-grained and used for veneer, flooring and furniture. Identify the red oak by its size and form. The red oak tree reaches a mature height of 60 to 75 feet with a 45-foot spread and 1- to 3-foot-diameter trunk. The tree has a dense, rounded crown. Study the leaves. The red oak’s thin, dark-green leaves have seven to 11 shallow, waxy lobes with bristle tips. The 4- to 8-inch-long leaves are arranged alternately along the stems and turn russet-red to bright red in autumn. Look at the bark. The red oak tree’s bark is rough and dark near the base of the trunk and has broad grayish ridges divided by fissures on the upper trunk. Examine the acorns: on a red oak tree, they should be round to oblong and ¾- to 1-inch long with a thick, brown cup that’s saucer-shaped. The cup doesn’t have fringe and is shallow with flat scales. The bark from cork oak trees is used to make cork stoppers for wine bottles. Although cork trees do grow in some other locations, only cork from the Mediterranean region is of high enough quality to produce natural wine corks, according to the Jelinek Cork Group. Cork oak trees were imported to California and planted. Although the trees still grow in California, the bark on them turned hard and woody and cannot be used to produce cork stoppers. According to the World Wildlife Foundation, cork stoppers are an important source of income for thousands of people in the Mediterranean region, and the trees support one of the world’s highest levels of forest biodiversity. Alternative wine bottle stoppers threaten the market for natural cork stoppers, and the WWF has started a program to conserve cork oak landscapes. Plant oak trees at least 5 to 10 feet from a house, the University of Nebraska recommends. Avoid locating oak trees near sidewalks, driveways or other structures to reduce root competition and vulnerability to pests and diseases. Trim the trees between December and March, which is the season that growth is at a standstill. Pruning them during the growing season can easily lead to disease and insect infestation. Prune young burr oak trees as little as possible in their first two years of growing. The roots need time to become established. Choose the strongest vertical branch to be the central leader or trunk for the tree. Use shears to remove other shoots that grow next to it, competing with it. Do more pruning in the second to fifth years. Cut off lateral branches that grow straight up along the central leader branch. Climb a ladder and trim off branches that are too large. They should be less than half the diameter of the trunk. Remove branches with V-shaped joints, which are not as strong as U-shaped ones, when the tree is five to ten years old. Use pole pruners to reach into the canopy. 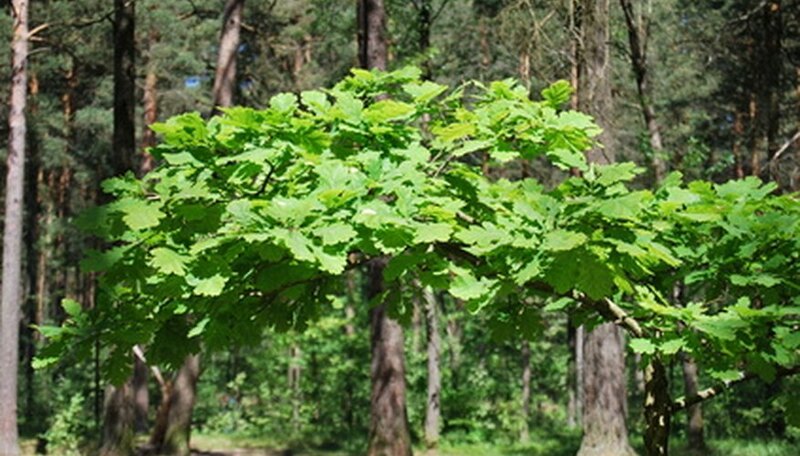 Raise the burr oak's crown by cutting off limbs that face downward from the bottom of the canopy. Crown raising will improve the tree's shape and allow for clearance below. Saw off diseased, damaged or dead limbs as soon as you spot them. Trim them at the point where they meet healthy branches. The average size of mature oak trees is 50 to 70 feet tall. Oak trees live more than 200 years and take 20 to 50 years to produce the first crop of acorns. The larger and older the oak tree, then the more acorns it produces. Use hand pruners to remove small stems and branches from the leader (main branch) of a young northern red oak. Cut branches a quarter inch above the bud. The bud should face the outside of the plant to force a new branch to grow outward. Use a pruning saw or pole pruners for large branches. Make three cuts in the branch to avoid tearing the bark. The first cut should be 18 inches from the trunk on the underside of the branch at a depth that is half way through the branch. Make the next cut 2 to 3 inches above the first, cutting until the branch falls to the ground. Locate the branch collar, a small swelling coming from the trunk of the tree, and cut the remainder of the branch. Apply latex wound sealant to prevent insect damage. Use the wood chipper to grind branches into mulch. This mulch can be added directly to garden beds or placed into a compost bin to breakdown and used in gardens. Clean pruners before using on the next tree to avoid transmitting possible diseases. White oak wood is commonly known as a strong wood and excellent for building as it is able to be drilled and retain its shape and durability. 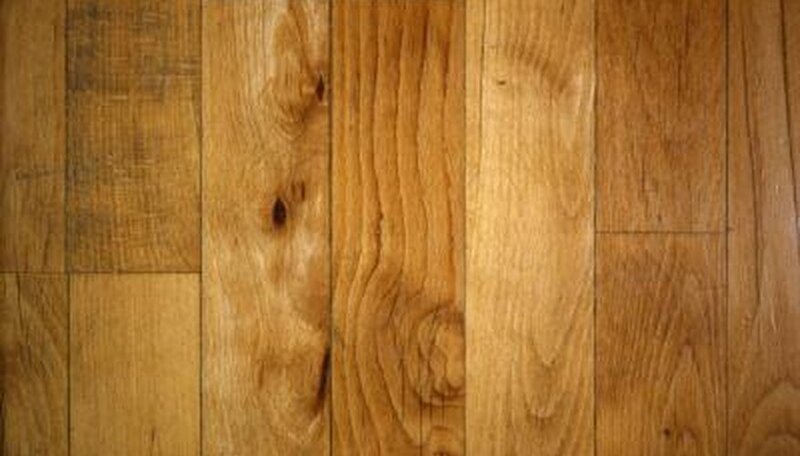 White oak wood averages between 45 to 47 pounds per cubic foot. It is considered a relatively heavy wood. 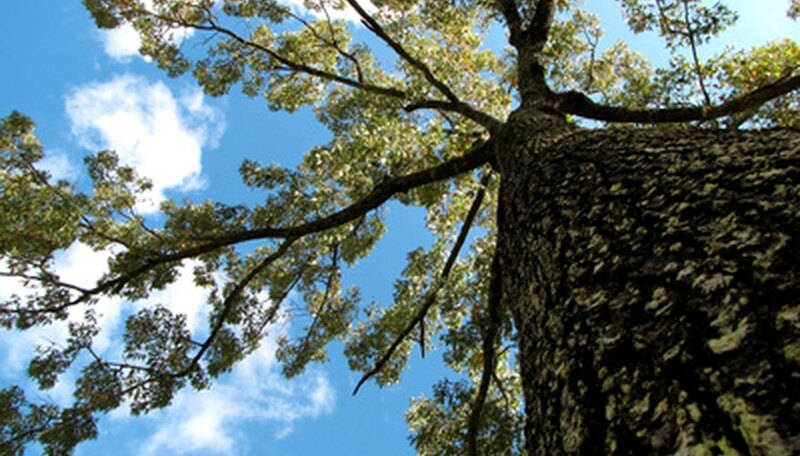 Average height for white oak trees are 60 to 100 feet. Average diameters are 4 to 6 feet. White oak is found primarily on the east coast of the United States reaching up into southeastern Canada. White oak is best used as a dry building material. Moisture will distort the shape of wood by bending it. Dry white oak will appear to be straight, heavy and hard. Layer a 20 percent nitrogen fertilizer from your local gardening store. Use roughly 15 pounds per 1,000 square feet, but this amount may vary depending on your climate or the brand of fertilizer. Use the trowel or small shovel to dig small holes that around 8 inches deep and about 6 inches in diameter. Dig a hole every 2 feet around the tree, in the same area as the drip line. The drip line is where rainwater drops off the tips of the branches and hits the ground. Add fertilizer into these holes, distributing it equally. Backfill the holes with the dirt removed. Soak them each with water if no rainfall is coming within a couple of weeks. Water each fertilizer hole with about 20 gallons of water. Apply fertilizer on top of the ground if you absolutely cannot dig holes around the tree. Add it around the tree in the same amount, and do this before a rainfall or with irrigation. Doing this will not work as effectively as digging the holes. Choose an acorn. Find an oak tree and choose the fattest, healthiest-looking acorn that you can find on the ground near it. Select a pot. The size of the pot will determine how large your oak tree will grow before you need to transplant it. Keep in mind that oak trees produce long taproots. As your tree establishes itself, check periodically to see if the taproot is curling around the bottom of the container. If it is, move the tree to a larger pot. Fill the pot with 50 percent potting soil and slow-release fertilizer and 50 percent sphagnum peat moss. Plant the acorn on its side just beneath the surface of the soil. Water the soil until it is moist. Place the pot where it will receive indirect sunlight until the acorn germinates. Water the soil regularly. Potted plants generally require more water than those grown outdoors in the soil. Keep the soil moist, checking it more than once a day if necessary. Wait for your oak tree to sprout. Germination times will vary depending on the variety of oak that you have planted. Fill a small cup with potting mix. Use a high-quality potting mix rich in organic matter. Topsoil from your yard does not contain adequate nutrients to nurture a developing acorn. Use a pencil to poke a small hole in the bottom of the cup. Moisten the potting mix with water, and allow the excess water to drain out of the cup. Acorns prefer and need moisture, but do not like to sit in wet environments. Create a 1-inch deep well in the center of the potting mix with your finger. Drop the acorn into the well, and gently brush loose soil into the hole to cover the acorn. Place the cup in a shady area of your yard, preferably shielded from wind and rain. Acorns need to spend approximately 90 days in temperatures of 40 degrees F or lower to germinate. If you live in the south where climates do not reach these temperatures, place the cup in the refrigerator so that it chills enough to store energy. Gradually move the cup into a sunny area of your yard. Keep the soil moist--not wet--at all times, to promote strong root and seedling development. Transplant the seedling to the yard after it develops a root system in the cup. Anthracnose is a fungal disease that cause scattered, small brown spots or light brown blotches to form along the veins. The disease also causes an oak tree’s leaves to look scorched. Anthracnose is spread by rainfall. Diplodia canker is a disease that affects the twigs and small branches of the coast live oak and the valley oak. Once infected with this disease, oak trees appear shabby due to a loss of foliage and color. Oak root fungus is a disease that primarily attacks oak trees that have been injured by over-pruning, compaction or root cutting. Once infected, oak trees with this disease suffer from thinning foliage. In advanced stages of the disease, stem cankers can be seen bleeding or oozing from the trees' bark. Oak trees growing in close proximity to a coastline are susceptible to powdery mildew disease. The disease typically affects young trees, giving their leaves a needle-like appearance and preventing them from developing. The Department of Natural Resources (DNR) suggests pruning oaks in late fall and early winter. 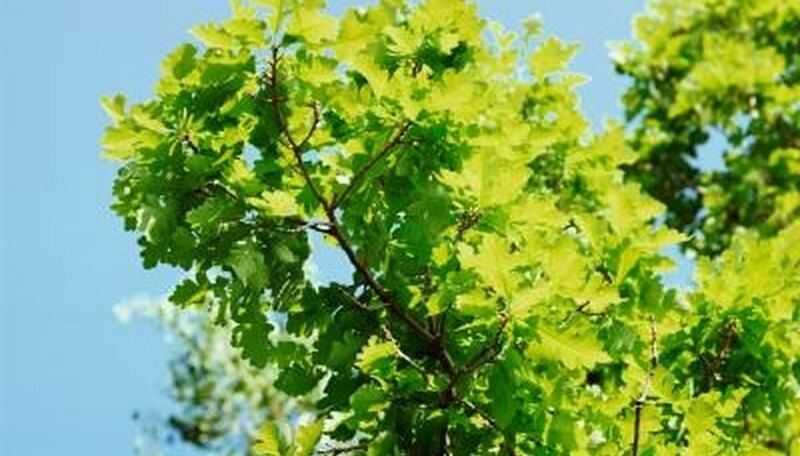 DNR foresters recommend that oak trees not be pruned during the growing season from April 1 to the end of July to protect the trees against oak wilt. Wait to prune urban oaks until October. Live oaks, types of evergreen oak trees that grow into wonderful shade trees, are best planted in the late fall and winter. They are best bought as young trees in 3- to 15-gallon containers, according to LSU AgCenter, then transplanted into the landscape. 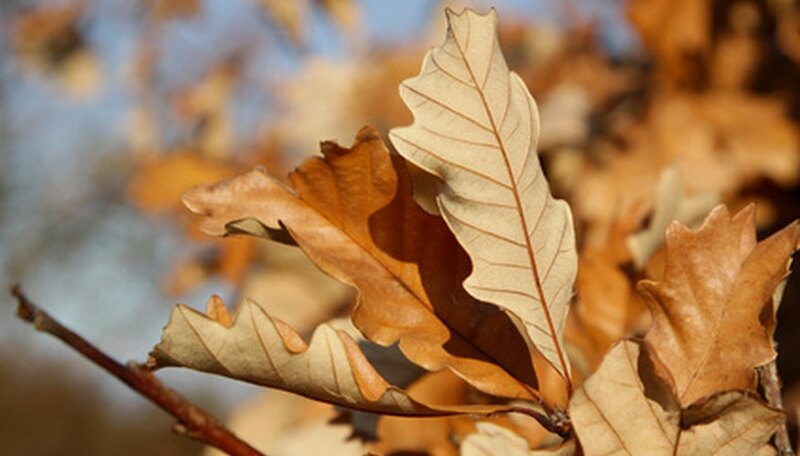 Though oak trees typically don't need fertilization because decaying matter, like fallen leaves, supplies nutrition to soil, according to the California Oak Mortality Task Force, nitrogen fertilizer is helpful at a rate of 2 to 4 lbs. for every 1,000 square feet. Mix the cleaning solution. In one bucket, mix 10 parts warm water to 1 part detergent. The other bucket holds plain rinse water. Wash the pickled oak cabinets. Dip the soft sponge into the detergent mix. Gently rub the sponge over the pickled oak cabinets. Do not scrub. Rinse off the detergent. Dip your rag into the rinse bucket, and gently wipe away all detergent residue. Be careful to get all corners, cracks and curves in the cabinet design. Rinse the cabinets a second time without applying too much pressure to the wood. The cabinets should be sparkling clean now. Many types of oak trees exist, including the white oak, black oak, Northern red oak and others. Depending on the variety and individual growth rate, oak trees generally reach maturity at 75 years. Look for a large tree that is 60 to 80 feet tall with a dense, rounded crown. The leaves are 4 to 9 inches long and similar to a chestnut. Each leaf has 10 to 14 rounded teeth on each side. Locating an acorn will help identify this tree. Each acorn is 1 to 1-1/4 inches long and egg-shaped. The deep, thick cup encloses one-third or more of the acorn. Habitats include wet bottom lands and moist floodplains. Areas around streams are a preferred habitat. Look for swamp chestnut oaks in the eastern United States. 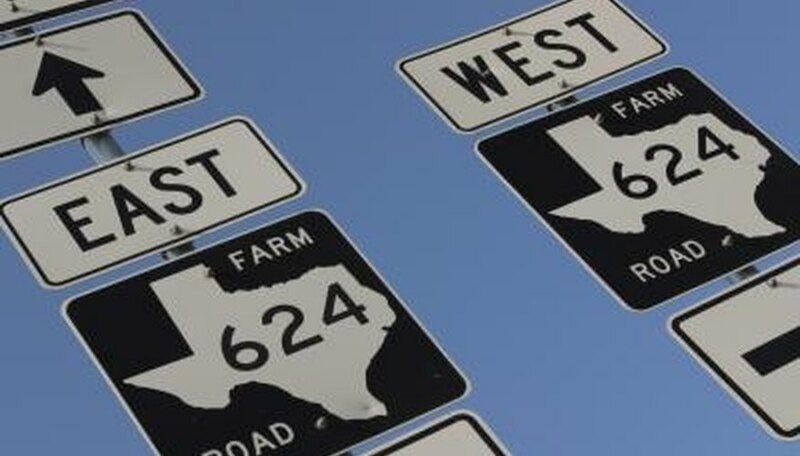 They range from north Florida to New Jersey and west to east Texas to south Illinois. Prepare a large growing container. Choose a high grade potting soil and pre-fertilize the soil with a mild solution of fertilizer. The container should be large enough to hold all the bur oak acorns without crowding. Wash the bur oak acorns before putting them into the soil. This will remove any residual fungus and other forest floor contaminants. Place the bur oak acorns around the edge of the container. If you have a lot of acorns to plant, be sure to keep them separated at least a thumb's width or more to avoid overcrowding. This also prevents the roots from growing into one another. Shove each acorn about half way into the soil. Leave the top half exposed just as the acorn would fall in nature. This is the most productive method for growing acorns to a viable size for repotting. Water the acorns until the soil is wet but not completely soaked. The soil should be kept damp at all times during the growth process. The sprouts are vulnerable to drying out during the first few weeks. Having the acorns all in one container makes them very easy to maintain. The Monterey oak tree generally grows to heights of about 80 feet, with widths of approximately 60 feet at maturity. When the tree is young, it has an upright growth pattern and a pyramidal form. With age, the tree becomes more rounded in appearance. The tree features scaly bark that is brown to deep gray in color. The twigs are reddish-brown, and the deciduous foliage can be anything from rose red to pale pink. The Monterey oak tree is hardy within the U.S. Department of Agriculture plant hardiness zones 7 through 10. The rapid growing tree requires moderate watering and thrives when grown under partial or full sun. The Monterey oak tree is oak wilt-resistant and relatively tolerant of drought and heat. The trees grow well in well-drained soils that are mildly alkaline, alkaline, neutral or slightly acidic. The trees can be propagated easily via seed. The Monterey oak tree often is seen as a yard tree throughout Texas. The Monterey oak tree features medium dense leaves that function as an efficient barrier against sound and wind. For most of the year, the deep green leaves stay on the tree, obstructing breezes, views and loud sounds.